Waypoint is a simple addon to assist in targeting your character in the right direction instead of having to look at the map a ton. It is more of a proof of concept until we get better lua support for location tracking, but is still in a usable state. I'll be the first to warn you that it uses /loc, and therefore you will incur some chattab spam. I would recommend you create a new chat tab vs using general chat so you don't have to see the output of /loc. If this is a problem for you please do not use at this time. I am hoping one day Turbine will release an API method for getting location & direction info and then this will go away. My lotro characters is only level 16, so I have not tried this in other regions. If you encounter problems in another region you can assist me by recording /loc values, along with ;loc for that same location and posting below. Attempting to navigate coordinates between regions will not work as expected. They use different coordinate systems, and will result in the arrow pointing in wrong direction. Try to stick to navigating coordinates within the same zone for now. While I'm not sure if it will help, I make the Waypoint work indoors. Made it so you can click on things that are behind the transparent portions of waypoint. Save position of waypoint so it remembers where you last placed it on screen. Once a target is set, an arrow will appear on your screen. You will need to click the middle of arrow for it to know where u are at and what direction you are facing. The arrow will then point in a direction like a compass. 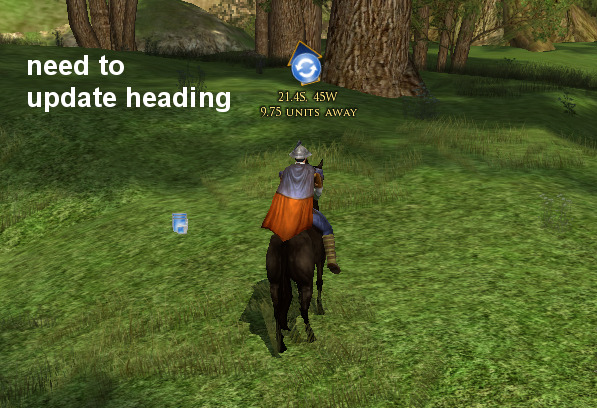 Simply rotate your character and move in that direction. Periodically you can click arrow again to check your distance from target & check that you are still headed in correct direction. Well, I don't know why it's failing. Maybe Garan or Lunarwater can weigh in on the topic. But I have a brute-force fix that should solve the problem, whatever the cause. Last edited by Thurallor : 08-25-2018 at 01:16 PM. I already had that. Have LOTRO completely reinstalled. Without plugins, then only the Plugin WayPoint installed, and it made no difference. Still a mystery. My current best guess is that another plugin is redefining the tonumber() function, although I didn't think that was possible unless they share the same script state ("Waypoint"). Can you please try removing everything else from the Plugins/ folder, leaving only the lunarwtr/ folder? Then login and try again. Last edited by Thurallor : 08-25-2018 at 12:37 PM. I like to help. Have made the changes. Last edited by Thaliruth : 08-25-2018 at 03:19 AM. Then post the resulting chat window output here. It is a mystery. Do you have a "Plugins/Turbine" folder? If so, try removing that. Depending on what's in it, that folder can change the behavior of all plugins. I deleted that folder, yes, but WayPoint still does not work on the German client. At least not with me. Have already tried everything imaginable, unfortunately it always comes to the same mistake. Other players seem to be okay too. 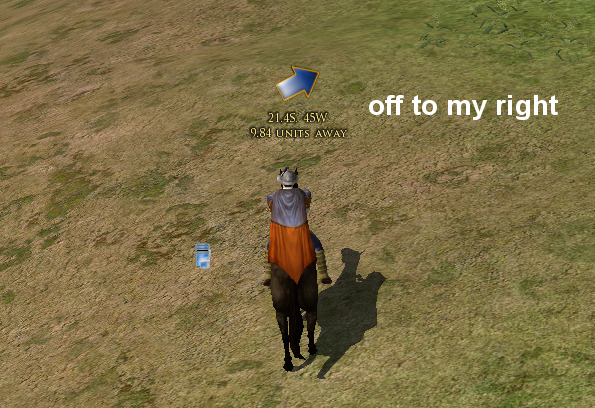 Have Lotro completely reinstalled. then I installed Way Point. Is the only plugin, type in / way target coordinates and it will not work. If necessary, I play with the English client. That's mysterious when it works for you. As I said in the English client, it works with me too. But not in the German client, after Update22 it was still, then a few patches later not more. I'll ask in the clan and in the world chat, if anyone has the problem. Did you test with the German client? Last edited by Thaliruth : 08-24-2018 at 03:54 AM. Just in Mordor: Udun, it had last worked, just as in Thalland. But now it is no longer possible. Even if I delete the folders PluginData and Plugin Complete. And reinstall Way Point Install Manuel or Plugin Compendium, it does not work anymore. If I set the client from German to English it works wonderfully. I've done some testing myself and was not able to reproduce this issue. Are you using Windows, Mac, or Linux? I'm testing with Windows Standard version of game client. Last edited by Thaliruth : 08-23-2018 at 04:12 PM. I load the plugin normally, then I enter /way target 35.2N 39.8W and get the error as feedback. If I then enter this with the English client, this works strangely. But let's see if it works after Official Release of u23 on Normal Server. What is the output when you do a /loc or ;loc in chat for your new updated client. 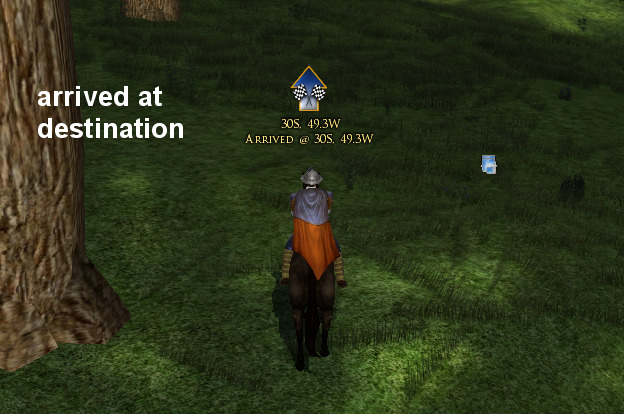 Are you logged into a character that is either in an instance or area that you've never used waypoint before? If so can you try going to a place that it has worked and try it.